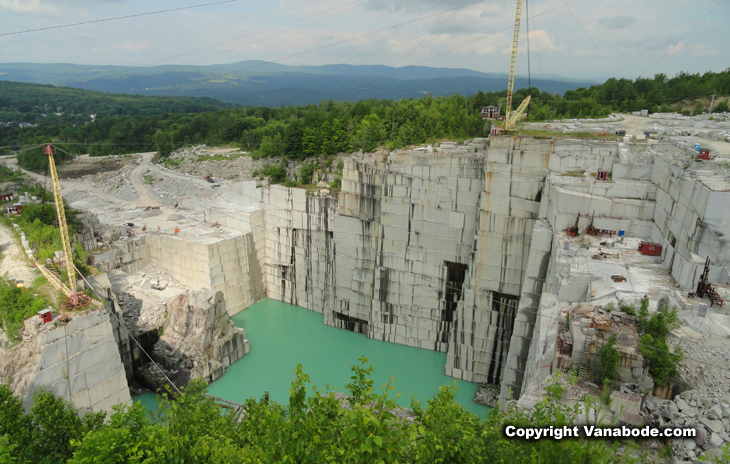 The Rock of Ages Granite Quarry in Graniteville is a beast. They reduced the entrance fee to five dollars and fifty cents per ticket. That little window in that little red building gives you an idea of just how massive everything in this operation is. The quarry looks like a slightly reduced version of a man made ivory colored Grand Canyon. Turquoise waters anchor the base of this astonishing view. Hundreds of feet below us some twenty to thirty union quarrymen still blast, drill, harness, lift and remove millions of pounds of some of the purest hardest granite in the world. 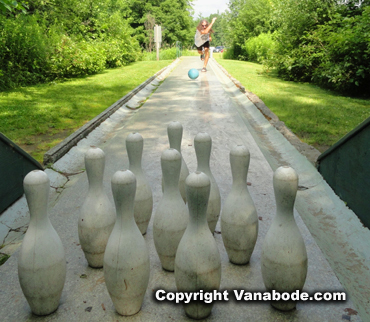 Above: We bowl outside on one of the world’s only granite lane bowling alleys. The tour is worth the money and the gift shop items are fairly priced. Most of this stone is used for statuaries, monuments, and items requiring the utmost weatherability and strength. 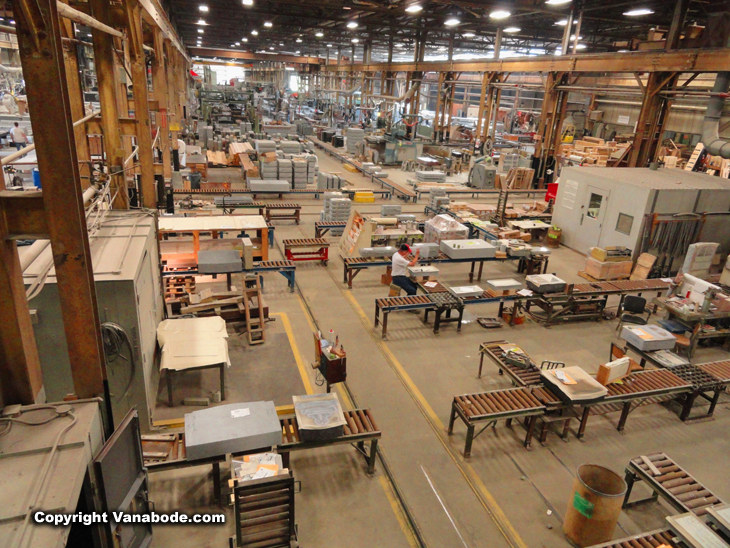 Many folks think marble competes with granite, but we learn it does not. It is twenty three times harder than marble.